Have some questions around NDIS or just in general? Don’t worry, our Frequently Asked Questions page covers a wide range of areas. If you cannot find your answer here, feel free to email your question to us at info@mapleplan.com.au and we will get back to you within 24 hours. 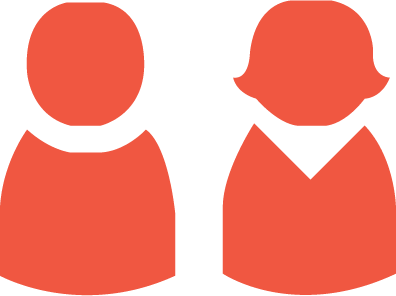 NDIS is specifically designed to support Australians with disability, so there are some basic criteria in relation to your age, residency status, your disability and the availability of the Scheme in your residential area before you can be NDIS Participant. You can find out the full access requirements and NDIS roll out areas from NDIS website ( https://www.ndis.gov.au/people-disability/access-requirements ). What supports does NDIS provide? The NDIS supports you in several ways, mainly it starts with understanding your short and long-term goals, and building your NDIS Plan to enable you to achieve your goals. This could include supports in areas like therapy, employment, assistive technology, and many more. Will all NDIS Participants receive the same support? Short answer is no. Everyone has different goals and situations, the NDIS support participants based on their goals so the supports will differ from participant to participant. During your planning meeting, your NDIS Planner will work with you to determine what supports are “reasonable and necessary” for you to achieve your goals. As part of this process, you can also request to have a plan management who will help you claim and pay your invoices covered under your NDIS plan. 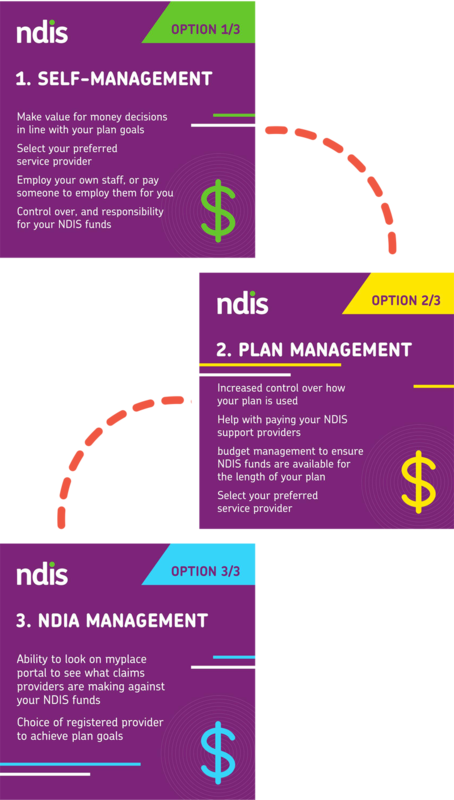 There are 3 ways you can choose on how you want your NDIS plan to be managed : NDIS Managed, Plan Managed and Self Managed, each has its own benefits. Having Improved Life Choices support included in your NDIS plan, allows you to choose Maple Plan to be your plan manager. Maple Plan will then take care of all your invoices, claims and payments. The NDIS released information about the options available and summarized below. How much does plan management cost? There is no out-of-pocket expense for Maple Plan’s fee as long as you have plan management included in your plan called “Improved Life Choices” this will cover 100% of our fee. Our fees will always be in line with the NDIS Price Guide so there won’t be any surprises. Do I qualify to get plan management in my NDIS Plan? Plan management is all about supporting your choice and helping you regain capacity. You have the rights to ask for plan management to be included in your plan. I already have a Plan Manager, can I change to Maple Plan? Yes, you can. NDIS biggest emphasis is on choice and control so you have the choice to decide who gets to be your plan manager. You can also decide to change plan manager in the middle of the plan. The process can be a little tricky so contact us to find out how. I already have a support worker that I would like to use, can I continue to use them? Yes, one of the benefit of using Maple Plan as your plan manager is that you can use your preferred provider, regardless if they are NDIS registered provider or non-registered provider. My current provider does not have an ABN, can I use them? How do I sign up with Maple Plan? How to I get my invoice paid? We have 3 options that you could use. Your providers can also register with our Maple Plan Gateway and upload their invoices which will then appear on your gateway login. 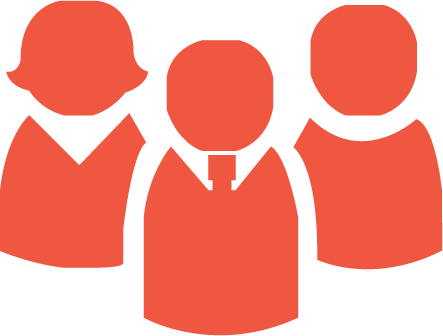 At Maple Plan, we aim to pay your invoice within 48 hours (2 business days) after we receive your authorization1, provided that there is sufficient funds in your plan, and it is covered as a plan managed area. 1 If you opt-in for Standing Authority method, authorization happen automatically. I don’t want to authorize each time, can you just pay it? One of Maple Plan’s goal is to develop your capacity in making choices and having control. So we need to obtain your authorization to claim against your funding. 1. Standing Authority (Most convenient): This is a privilege that you allow your provider to have, whom you trust will send you the correct invoices. We will treat these invoices as authorised when we receive them. We will always send you a notification of invoices received before any payment is made. 2. Manual Authorisation (Most control): This is the default authorisation process, where you are required to authorise every invoice, whether via email, signature, or verbally.